There are more spas that now offer table shower massages. 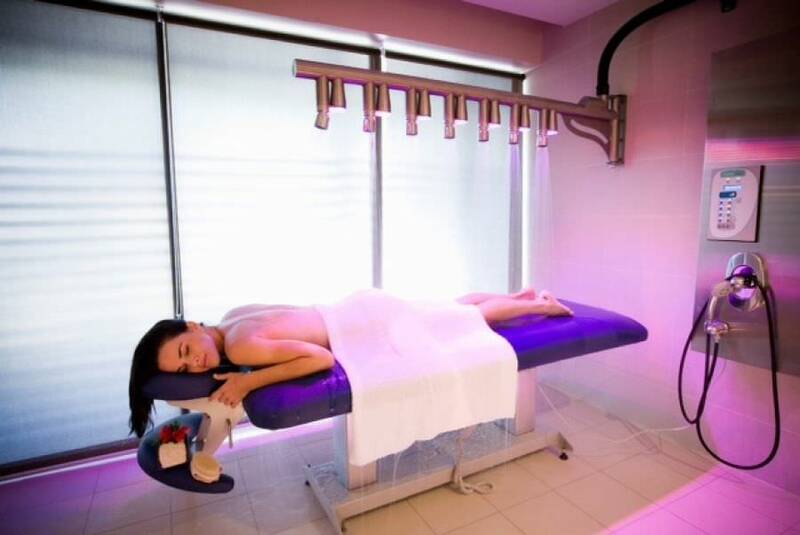 NYC has a large number of spas that have added table showers to their treatments as they want to offer their clients the relaxing health benefits of enjoying a pampering massage that does not involve showering between treatments. However, many people may hesitate to try a table shower, as they may not know what to expect. Here’s all you need to know about tables showers. Where do table showers take place? – Often spas will have individual rooms where clients receive their table shower. Most often the massage table will be in the center of the room with towels placed for hygienic Some table showers have shower heads directly above the massage table, and they offer different water pressure settings depending on the massage. What do I wear during this type of treatment? – Often you are asked not to wear anything when enjoying a table shower massage. A therapist will, however, place a towel over your private areas for the duration of your session. What does the table shower treatment include? – Most sessions will help your skin look and feel cleaner and will involve a head to toe scrub which is applied with an exfoliation sponge/cloth. The process starts with exfoliation, which will remove the dead skin cells from your body. The scrubbing process will also reduce acne, ingrown hairs, and improve your skin’s overall appearance. Where do they offer table showers? – Tables showers are common at most Asian massage facilities. Garden Retreat Spa offers a wide range of treatments that exfoliate and rejuvenate skin using table showers.